The Golder Trust for Orphans runs an annual Volunteer Trip to visit one of the NGO’s / projects we support. Volunteers are all Golder employees who are interested in offering a helping hand. 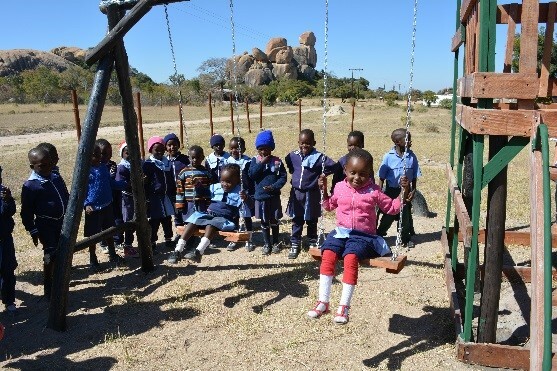 This year’s trip took place at ACET in Zimbabwe, in the remote rural area of Matopos; where about 200 local community volunteers provide support to approximately 3,500 orphaned children. With the support of the Golder Trust for Orphans, ACET provides home-based care, school fees and food packages to 263 orphans in child-headed households. 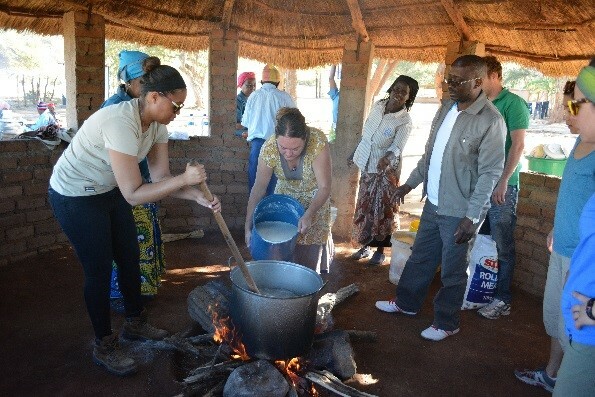 The Director of ACET, Zimbabwe also runs a breakfast programme in 10 different schools where he feeds more than 2,700 children every day. These children would otherwise go hungry – a massive undertaking and accomplishment to ponder on! The trip ran from 17 to 26 June 2016 and a group of 11 Volunteers signed up on a first come first serve basis for the trip. The projects at ACET Zimbabwe were large ones this year and; we are indeed grateful for these selfless helping hands who have so generously given up their precious annual leave to make a difference in a child’s life. 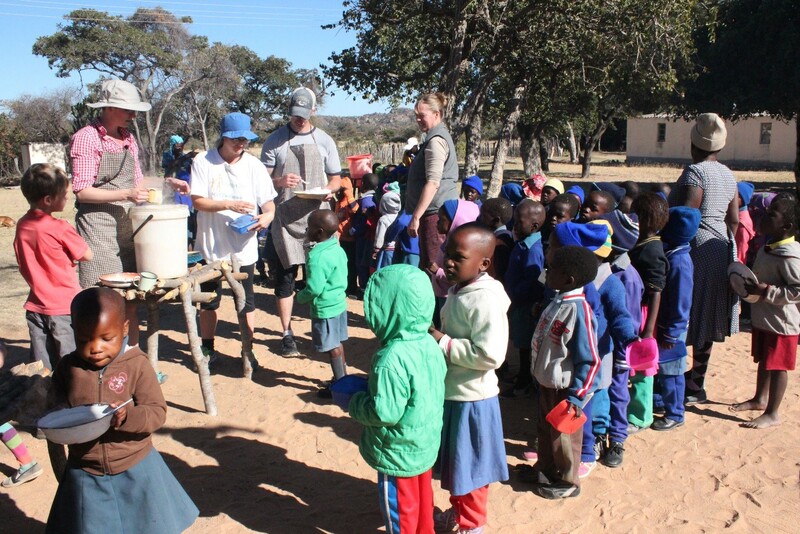 Volunteers had an opportunity to interact with the children when they assisted at the feeding scheme, cooked and served the children their breakfast porridge. They also prepared and served a special meal for the children. The Volunteers especially enjoyed playing games with the children and spending time at the Early Childhood Development Centre. 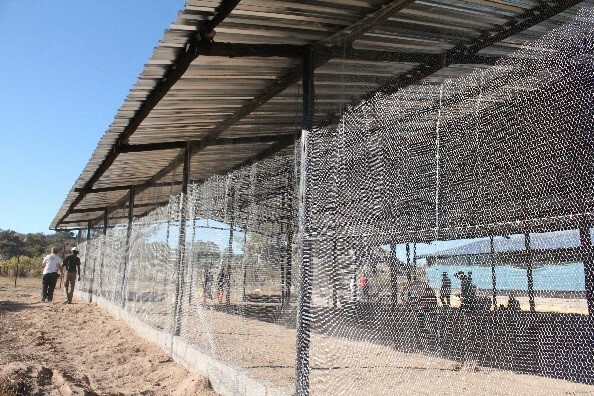 The plan for the trip was to extend the chicken enterprise by building a 2,000 chicken layer house which required some hard physical labour and serious commitment as this project had to be completed by the end of the trip. The Volunteers also built a jungle gym for the children. 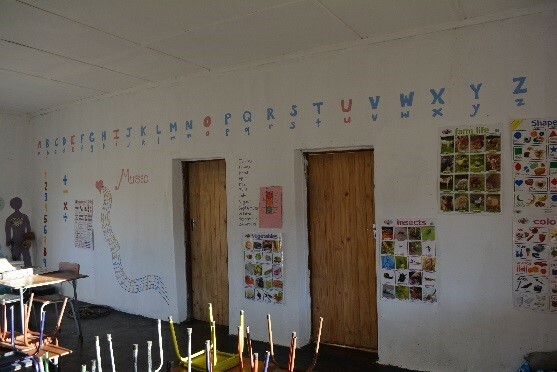 They also erected a fence and painted the classroom walls with colourful wall murals. A very rewarding experience!